Mark Richards is a hands-on software architect involved in the architecture, design, and implementation of Microservices Architectures, Service Oriented Architectures, and distributed systems in J2EE and other technologies. He has been involved in the software industry since 1983, and has significant experience and expertise in application, integration, and enterprise architecture. 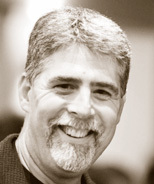 Mark served as the President of the New England Java Users Group from 1999 thru 2003. He is the author of several technical books and videos, including "Software Architecture Fundamentals" (O'Reilly video), "Enterprise Messaging" (O'Reilly video), and "Java Message Service 2nd Edition" (O'Reilly book). Mark carries a masters degree in computer science, and has numerous architect and developer certifications from IBM, Sun, The Open Group, and BEA. He is a regular conference speaker at the No Fluff Just Stuff (NFJS) Symposium Series, and has spoken at over 100 conferences and user groups around the world on a variety of enterprise-related technical topics.